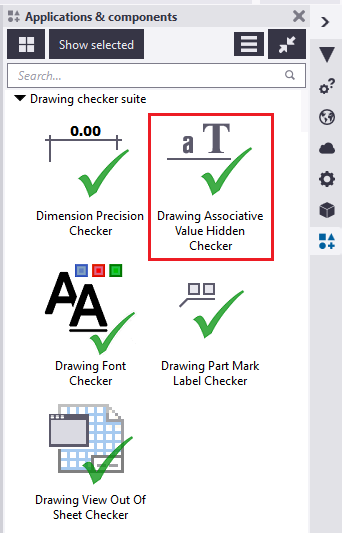 , Bolt marks and Level marks is hidden or not.
. To open the application, click on the ‘Associative Value Hidden Checker’ icon. Click the icon in the catalog shown above. It opens the dialog box as shown below. Click on the 'Perform Check' button to perform the check and click on 'Show Report' buttom to view the report. 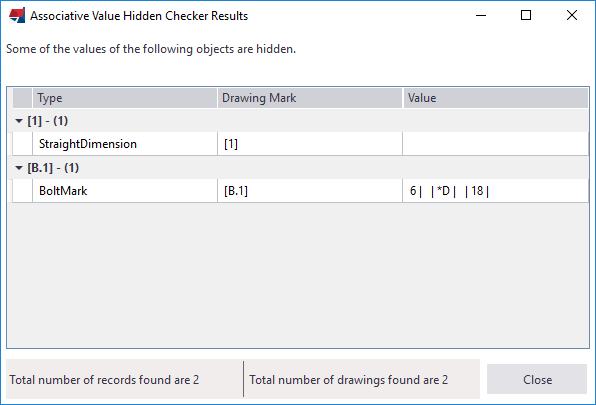 A sample report of the tool, when the check is run on the drawings.